Kids love stamps and you'll love that they're learning. A great hands-on way to teach the alphabet, proper letter formation, as well as patterning and counting. 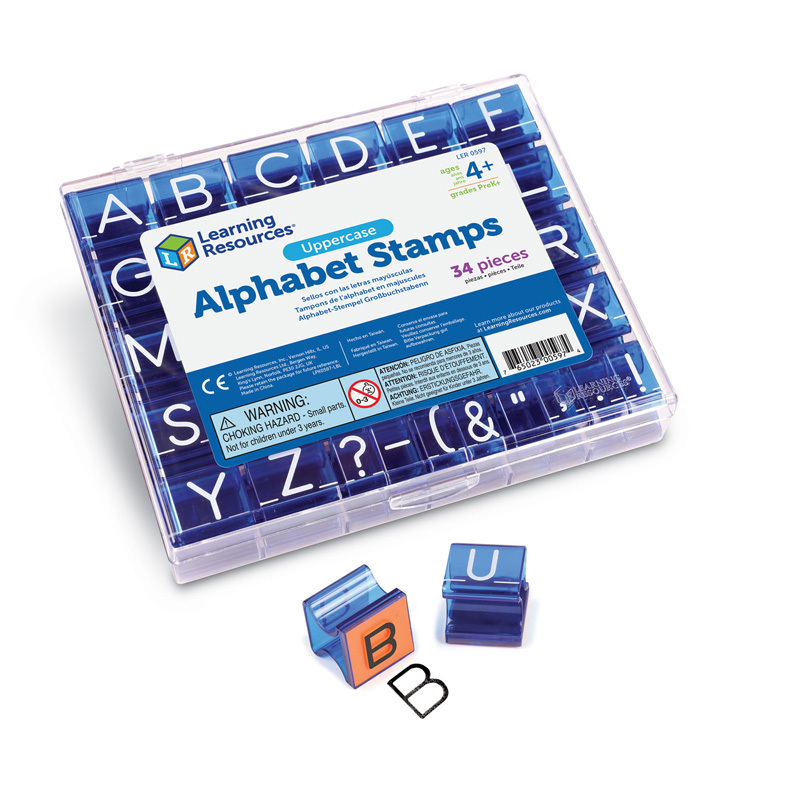 Uppercase Alphabet Stamps contains 26 uppercase letters and eight punctuation stamps made of durable plastic and rubber. Easy-to-hold stamps store in a clear, sectioned plastic case.